Memories are part of my artwork. As a child my Nana let us make mud pies in her garden. We were allowed to pick flowers and decorate them. The best part was she came with handbag over her arm and bought our creations. We then set off to the corner dairy where I soon learnt that vanilla, a new flavour, was not a fruity ice-cream. This book was made for the NZ Association of Book Crafts exhibition. 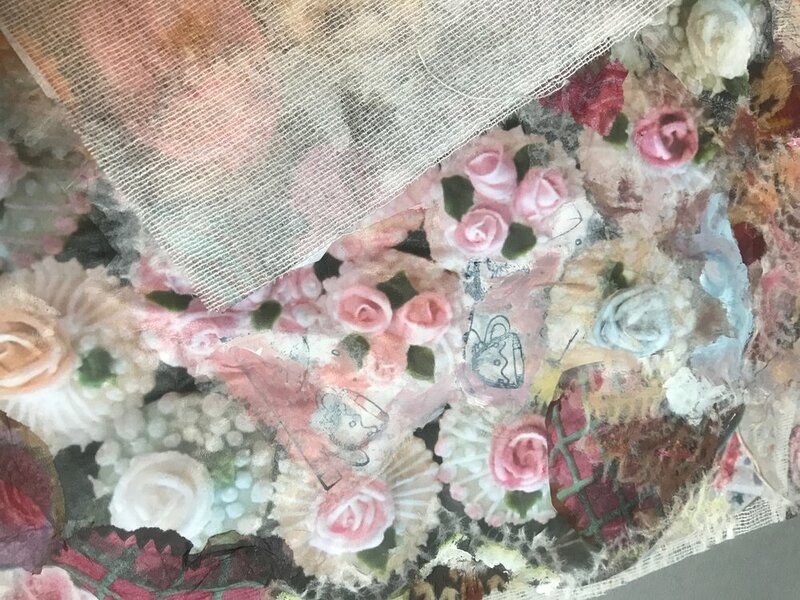 Using muslin as a base, serviettes and photos of cupcakes were glued, collage style on to the muslin. These were photocopied and formed the pages.